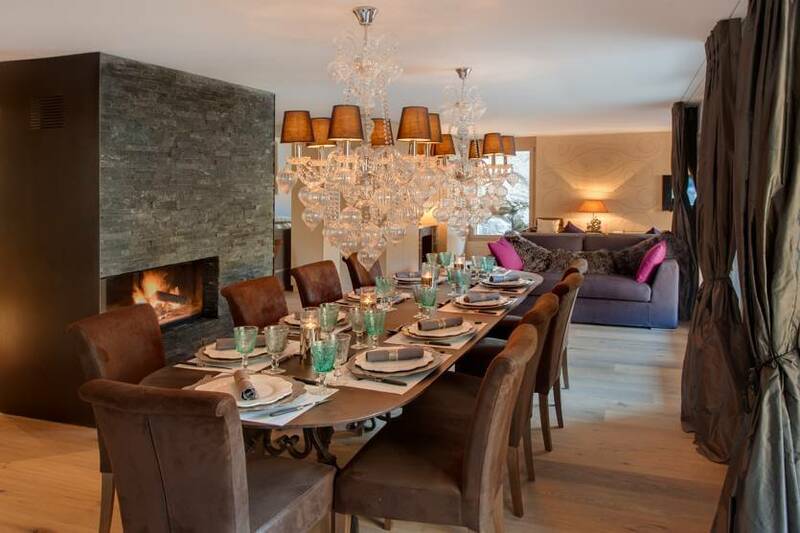 The Chalet Alice Zermatt is located in the exclusive area of Winkelmatten, considered as “Beverly Hills” of Zermatt and being the only “ski?in/ski?out” district in this resort. 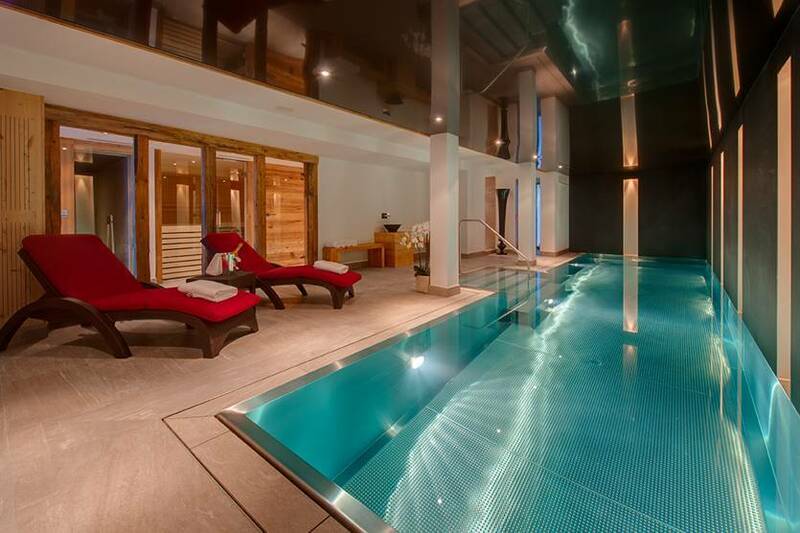 Alice Zermatt is the only freestanding chalet in the resort with a swimming pool. There is also a hammam, a sauna, a massage room, and an outdoor hot tub. Adjacent to the wellness area in the lower ground floor, there is a cinema room and games area with a pool table and table tennis. From the chalet, you can ski through a meadow and down to the Klein Matterhorn Express and ski back to the door of the chalet and down the Moosweg ski-run. 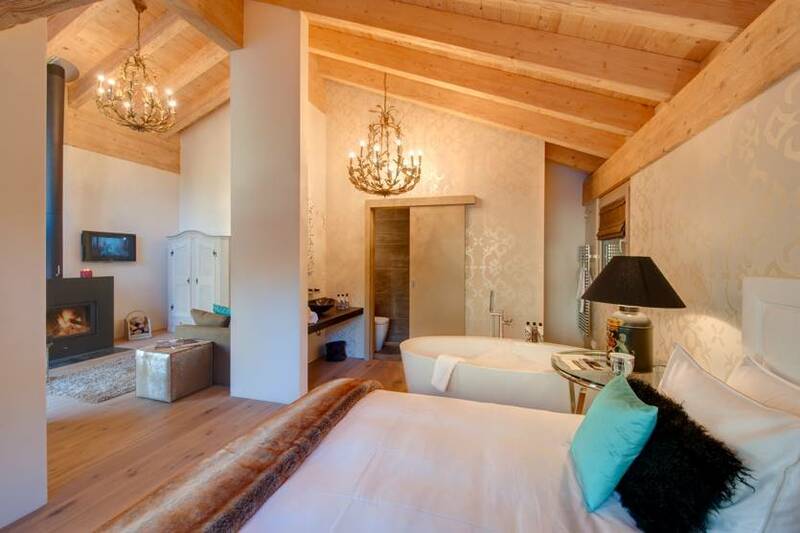 With 2 suites and 3 bedroom, chalet Alice can accommodate comfortably up to 14 persons. There is also a comfortable lounge and an open fireplace where you can relax after an unforgettable day on the slopes with a glass of wine or a cup of hot chocolate. 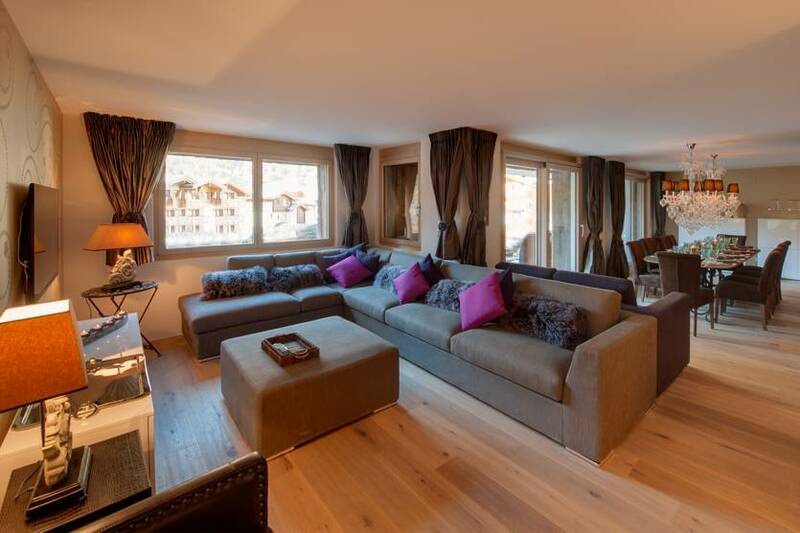 The lounge has a large LCD TV, DVD and views of the Matterhorn.